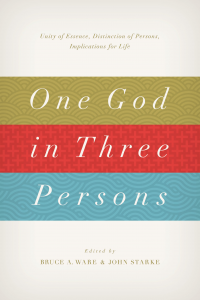 A Response to Holmes' Review of "One God in Three Persons"
Steve Holmes recently reviewed the book One God in Three Persons: Unity of Essence, Distinction of Persons, Implications for Life, edited by Bruce Ware and John Starke (Crossway, 2015). From Thomas Aquinas down to c.1950, Christian accounts of gender ‘complementarity’ depended on an assumption that women were in some way weaker or less perfect than men. Of course there were challenges – some which accepted the assumption (Sojouner Truth’s great speech), some which rejected it (in my own evangelical tradition, Phoebe Palmer or Catherine Booth). But the basic argument was stable. When it became clear that this basic argument was simply false, the churches had two options. One was to surrender accounts of complementarity – the English Free Churches all did it in the 1920s and 1930s without fuss or difficulty. The other was to find new arguments to defend the old conclusions. A ‘narrow hermeneutic’ argument based around close exegesis of two or three NT texts failed – the exegesis was not plausible; it was replaced by a ‘broad hermeneutic’ argument appealing to a Biblical theology of gender. This also failed, and was replaced by an appeal to ‘eternal functional subordination’ and a direct argument from the doctrine of God to gender relations. On this account, complementarians have been pushed from (1) a line of defense focused on a few texts, back to (2) a generalized whole-Bible theology of gender, and finally to (3) an even more transcendental trinitarian argument. Holmes pictures it as a kind of trench warfare in retreat, with eternal functional subordination (linked analogically to male headship) as the last ditch. Holmes’ argument is interesting but doesn’t persuade me. I would guess that most complementarians in the churches today continue to hold their views for some combination of (1) and (2): a small number of New Testament texts seem clear and decisive for them on eldership, and this aligns somehow with the overall biblical tendency to put official teaching authority on males as the church application of male headship. I’m complementarian on a few specific points for reasons like that, and not for any trinitarian reasons at all. But the main move Holmes makes in his postscript is the contextualizing one: deciding that the history of complementarianism is the most illuminating context for Ware and Starke’s One God in Three Persons. In my own review I noted several reasons why one might do that: the framing essays are the most explicitly complementarian and polemical, making the book an “eternal functional subordination sandwich.” And the preface highlights the recent controversy with egalitarian trinitarianism. So the dots are all there to be connected. But I also noted that “there are several different things going on at the same time” in the book, and perhaps in light of Holmes’ review I should be more explicit about some of the other things I see there. A. Evangelical interest in the doctrine of the Trinity. The editors fielded a pretty interesting range of evangelical scholars to write on the doctrine of the Trinity. 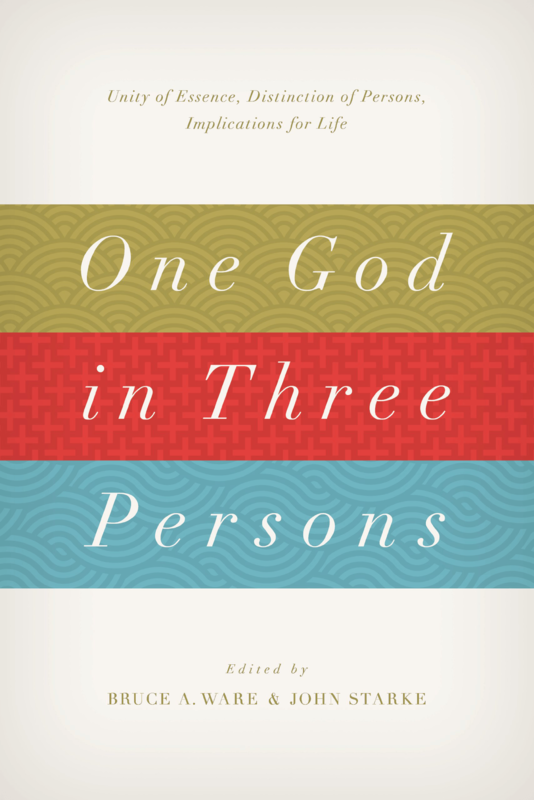 And though almost all (but not quite) of the authors find their way to a connection with complementarianism, almost all (but not quite) give solid evidence in these essays that they are primarily interested in the doctrine of God for its own sake, not just its payoff in gender debates. This is a big deal because at the semi-popular level, evangelicals (my own people, o my dear own people!) have often been guilty of keeping the doctrine of the Trinity on the shelf until it proved useful for defeating opponents. “Here come the Jehovah’s Witnesses; quick, dust off the Trinity doctrine!” In the history of the gender discussion, some theologians have given the strong impression that they’re into the Trinity for its polemical gender value. Co-editor Bruce Ware, I hasten to add, is not among those some: even if he is quite warm and fully persuaded about his complementarian application of the doctrine of God, it’s always been abundantly clear that he is far more passionate about the Trinity for its own sake. So it’s not shocking that he (and co-editor John Starke) gathered a group of writers who show the same tendency. The book is framed and pitched as an extension of anti-egalitarian polemics. But the bulk of it is about God the Trinity, in good faith. B. Evangelical Fluency in Patristic and Medieval Theology. Again, when Ware and Starke went to the stable of writers who would sign on to this overall project, they found a plentiful supply of scholars who knew how to handle the classic traditions of Christian theology. The book is uneven in this regard, but the center of gravity seems to me to be pretty patristic. There is no sense of scurrying around to find somebody who could throw together a quick study on a select few church fathers in order to bolster an argument. Instead we have pieces here from scholars who were already conversant with patristic and medieval modes of reasoning, able to cite primary texts with a sense of context, and to acknowledge the complexities of doing justice to the concerns of earlier centuries. This is especially promising because several of the scholars involved are young: they must have gotten uncommonly solid, wide-ranging theological education at the various institutions where they trained. C. Recovery of Classic Doctrines in Greater Detail. Again the book is mixed in this regard, but there seems to be a tilt in the direction of certain classic doctrinal formulations which have not been especially prominent in recent evangelical theology. I am especially thinking of the venerable doctrine of the eternal generation of the Son (but more generally the relations of origin within the Trinity). Just a few years ago at ETS it seemed to me that there were always two or three papers rejecting the doctrine as insufficiently clear from Scripture and unnecessary for robust trinitarianism. This book contains some of that tone, but I think the voices advocating eternal generation are clearer. The doctrine of the Trinity’s inseparable outward works is also back on its feet here (after what seemed like some recent stumbling): several authors find the ancient doctrine compelling, see the biblical case for it, and argue on its basis. Various things like divine simplicity of a medieval sort and dyotheletism of a sixth ecumencial council type also put in an appearance here and there. This is a cheering sign, especially since the confidence about eternal generation and inseparable operations seems to skew to the younger side as well (though on both counts Bob Letham puts in a good showing for the elders). It would be silly (as most generational analysis is) to make too much of this, but there’s some evidence here for a generational shift in the direction of affirming more of the details of the classic doctrinal tradition. Evangelical theologians have of course been rock solid on the Trinity and the incarnation and have generally been quite Nicene in that sense, but the current generation of rising scholars seems to inhabit more of a pro-Nicene theological culture (in the sense that Lewis Ayres attributes to patristic orthodoxy). This retrieval of something old is nothing completely new; we’ve had some loyal retrievers in our ranks for a while (sorry if that conjures Air Bud imagery for you). But there are signs that creative alignment with classic doctrinal norms is becoming part of the standard equipment of evangelical theologians. The older authors in this volume tend to ignore or even be standoffish about eternal generation and inseparable operations; the younger authors tend to presuppose and argue on the basis of them. It’s not a generational division or gap: the one generation trained the other, and they obviously maintain a common front here within the paramaters of a complementarian project. And there aren’t enough chapters to warrant any strong conclusions about trends: the ages of the authors might be the least relevant data point to consider. But if (like me) you read this book in the “evangelicals doing trinitarian and christological doctrine” context more than in the complementarian context (like Holmes), this is a good sign.